First up, of course chunky homemade guacamole! Nommm. 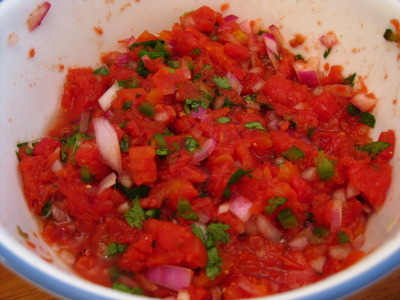 Slightly less my favorite but still awesome, pico de gallo (this photograph is actually from the first attempt, which I didn’t think was very pico-like. After a few more tweaks, I discovered the fix, but didn’t take new pictures – don’t worry, when I discuss technique, you’ll hear the improved recipe!). 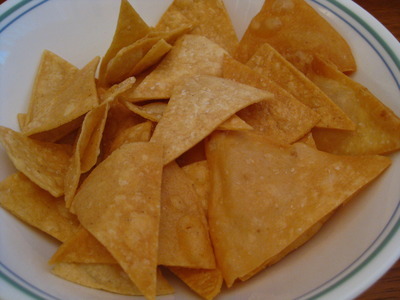 New to me: making my own tortilla chips. Okay! 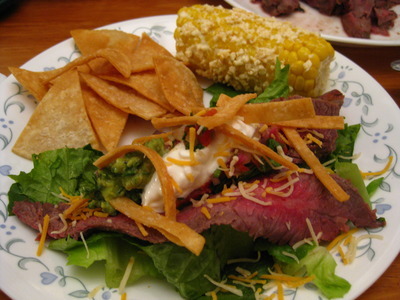 Here’s something about me: I vastly prefer flour tortillas to corn tortillas for my tacos. 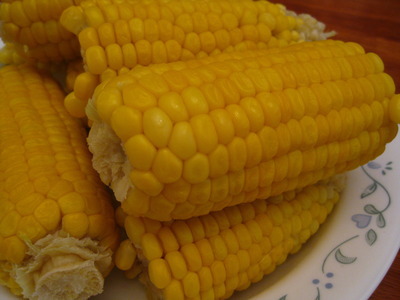 However, I do like tortilla chips, and I tried both – deep frying the flour ones AND the corn ones – and hands down, no contest, corn. Why? 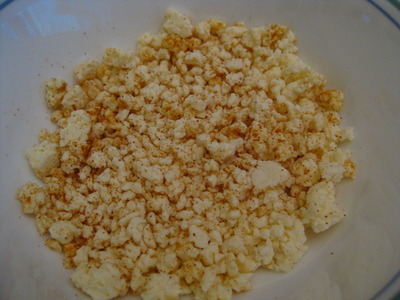 The reason I don’t like the corn tortillas is because they always taste ‘raw’ to me, no matter how much I scorch them to get rid of that taste. And the flour tortillas don’t have that. But when you deep fry them, you eliminate that flavor. Also, flour tortillas, when deep fried, retain a TON of oil and taste pretty disgustingly greasy. Blegh! I don’t think I’ll be going back to buying tortilla chips ever again though – this was too easy, too fast, and too delicious for me not to keep doing! 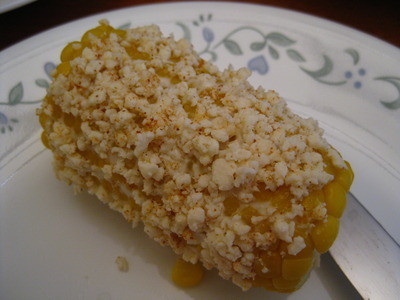 And roll a piece of corn that’s been slathered with mayo or butter in the cheese+cayenne mixture, and voila! Delicious with a slight kick! Yes, I know how pink that looks – don’t worry, part of leftovers is, for me, undercooking some of it slightly so that when I reheat it, the meat doesn’t overcook and dry out, it just becomes normal. 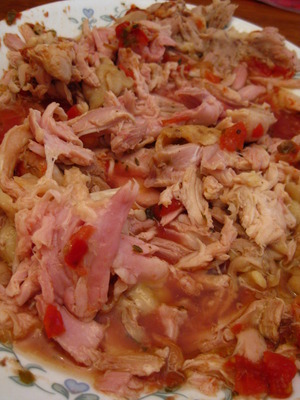 Some chicken pieces (leg+thigh) that I baked quickly in the oven with jarred salsa covering most of it. For what? 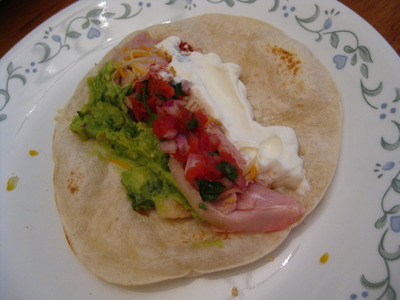 For my tacos, of course: flour tortilla base, schmear of guacamole, sour cream, some chicken pieces, topped with shredded cheddar, then topped with pico de gallo. Roll it up and chomp it down! But wait, there’s more! 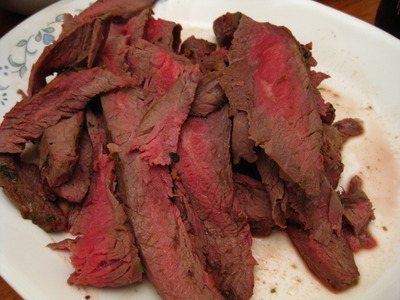 Flank steak that I marinated for over 24 hours in olive oil, freshly chopped cilantro (a ton of it), kosher salt, freshly ground black pepper, and a couple shakes of crushed red pepper flakes. Awesome. SO GOOD. 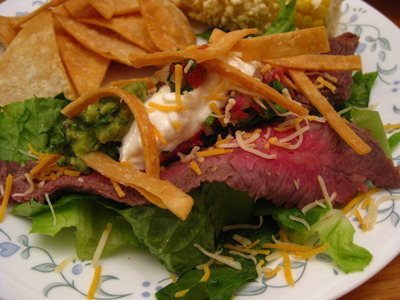 I did make tacos with that, but I also topped some chopped up Romaine lettuce with it, and then added guacamole, sour cream, pico de gallo, and deep fried strips of corn tortilla… nommm. For another lunch, I took thin slices of the steak and topped chopped Romaine, English cucumbers and grape tomatoes with it, then added a lil bit of blue cheese dressing. Delicious and so many leftovers!!! 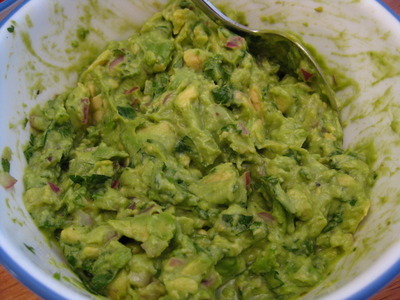 Guacamole – ripe avocado mashed with diced red onion, chopped cilantro, minced half jalapeno, diced tomato and lime juice (plus kosher salt & freshly cracked black pepper, to taste). 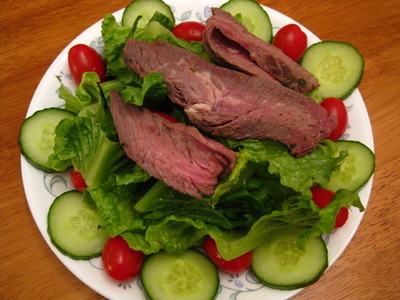 Flank steak – about 1 3/4 lbs. flank steak marinated in extra virgin olive oil, freshly chopped cilantro (a lot), kosher salt, freshly cracked black pepper, a clove of garlic grated into the oil, and a teensy bit of crushed red pepper flakes for a little over 24 hours, rinsed of excess marinade, then thrown into a screaming hot pan for about 5-7 minutes on each side for medium rare, then sliced super thin. NOMM. Damn, that’s a lot of good eating for Cinco De Mayo. I call that ecoli salad!